5Zigen has just introduced some new exhaust components for the Honda CR-Z. One exits on the right hand side, the other exits in the center. These are offered as axle back (replacement muffler only), or as cat backs (includes mid pipe). All types are in stock for immediate shipping. Contact us to order! One of these years, I’ll plan things so I can actually attend this event instead of just looking at pics 😦 The above pic is from the 2005 event – I love the shape of the JGTC Z33’s. Their theme this year is “Nissan Racing DNA”. 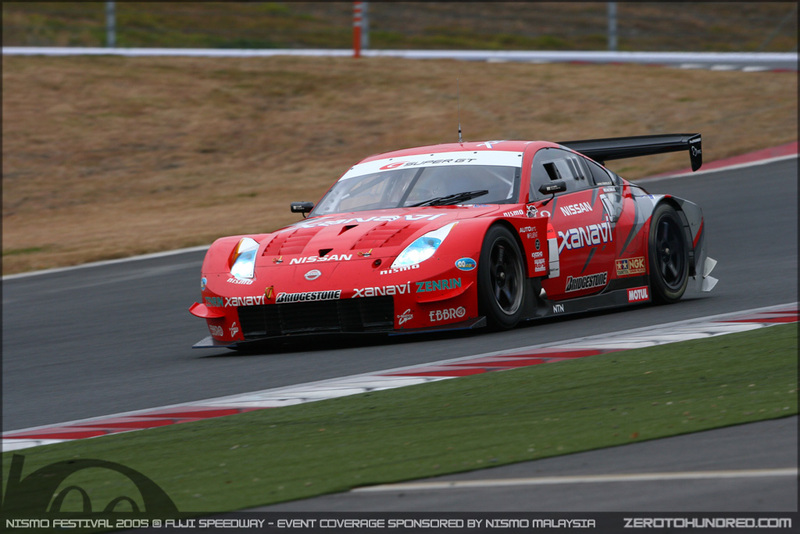 Takes place the weekend of December 5 at the legendary Fuji Speedway. Can’t wait to see what they have in store! 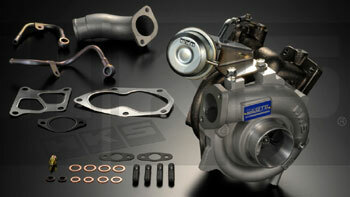 AMS V Band Turbo Kit for Evo X Now Available! 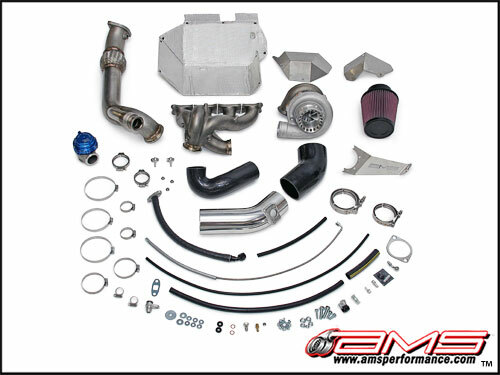 The AMS EVO X Billet V-band Turbo Kit is the most advanced and reliable kit on the market. This race-proven package not only produces unmatched power and spool, but is also designed to withstand the abuse of professional motorsports and we have 2 national championships to prove it! In 2008 we set out to design a kit that matched the quality of OEM Mitsubishi components while providing the extraordinary power and response AMS is known for. To accomplish this level of quality, reliability and performance, we created the industry’s first cast tubular V-band exhaust manifold. By choosing to utilize cast stainless steel construction, we eliminated the restrictive design geometry and the possibility of cracking found with hand-fabricated headers. By casting the manifold, we were able to maximize exhaust flow while utilizing the small space available between the engine and firewall of the EVO X. By applying the latest in AMS billet wheel and V-band turbo technology we set the bar even higher. Billet compressor wheels are not only lighter, which helps quicken spool time, but they also have superior aerodynamic profiles that compress more air efficiently: less heat = more power. Ceramic ball-bearing center sections are more durable, have less friction, and don’t require coolant unlike traditional ball-bearing units. V-band turbos use a lightweight housing which has proven to flow better, spool quicker and make more power than their flanged counterparts. V-band turbos also have less complex hardware which provides easy fitment and a durable seal – eliminating the need for a gasket. With the cramped EVO X engine bay the added heat associated with higher power output becomes an issue. There have been unfortunate incidents of engine fires on EVO X’s with aftermarket headers. AMS has this covered with a comprehensive heat shield to protect the firewall from the extra heat. In 2009 AMS campaigned two EVO X’s in the Redline Time Attack series using the AMS EVO X Turbo Kit. During that year not only did both cars win their class championships and set track records at each event, they also proved that the AMS kit can take the extreme abuse of professional competition. With over 6000 miles of track abuse at wide open throttle for an entire racing season without skipping a beat… now that is AMS quality! •The same AMS product you purchase is the same product found on our race cars! HKS Titanium Racing Exhaust Systems Now Available! HKS has just introduced their new Titanium Racing lineup for several cars. These systems all feature large diameter stainless piping mated to a lightweight Titanium Muffler. These are designed for maximum flow, minimum weight and great affordability. As a true bolt-on upgrade for the Mitsubishi Evolution IV-IX, the GTII 7460R is a reverse rotation ball-bearing turbocharger assembly that utilizes the factory exhaust manifold. By creating a twin scroll, reverse rotation turbocharger, the GTII 7460R offers a straighter exhaust path to the turbine housing inlet increasing boost response while allowing full spool and stable boost pressure throughout the RPM range. Intake and exhaust port sizes have been optimized in size and flow area to allow an increase in air-flow capacity while the ball bearing center housing rotating assembly (CHRA) improves low-speed boost response. The inconel turbine wheel and heat resistant SUH 22 cast stainless steel turbine housing increases reliability and durability. The GTII 7460R produced 373.4 WHP and 355.6 ft. lbs Torque with the boost set at 1.78 Bar (25.8 PSI) on 93 octane. These kits come in various configurations ranging from a kit that includes and EVC VI, to setups that include HKS Cams. Contact us for pricing and availability! Just got these bad boys in for a monster Z33 build being done by a good customer and friend in Australia. So this morning I was ordering up my usually breakfast at a new deli around the corner from a buddies house whom I was on my way to meet. As I was enjoying my turkey, egg whites and alpine lace on a whole wheat wrap I noticed something peaking through the window of the delicatessen. To my great surprise it was an all original legit guards red Porsche RS America, one out of 701 ever made. The owner, William Branston who also owns Exotic Classics in Syosset, NY, who was a pleasure to talk to is a huge porsche collector. If my memory serves me correctly I believe he told me that his own personal private collection contains in excess of twenty Porsches. He invited me to stop by his showroom this weekend to checkout the rest of his collection and I plan on taking him up on his offer. New Replay XD Mini Cameras! We’re always looking for new, innovative product to add to the roster, and this week, we’re adding one that I think will be a big hit with our customers. 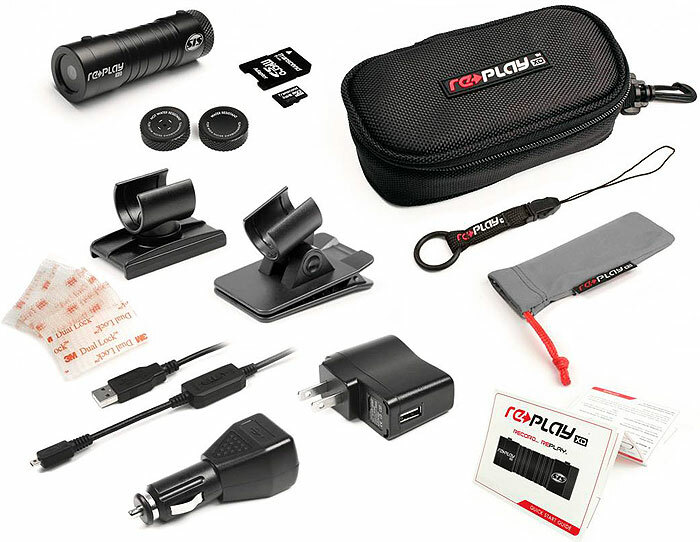 The Replay XD Mini Cam is a simple to use, affordable, tiny camera that is perfect for you guys doing HPDE’s, Auto-X, Drift, or just enjoying your machine on your favorite roads. Everything you need is included in the package, and the camera is small (smaller than a credit card! ), low profile, and mounts anywhere! The full system sells for just $189 bucks, making it a must have for any enthusiast! We are pleased to announce the availability of the full line of Stack Gauges to our lineup. 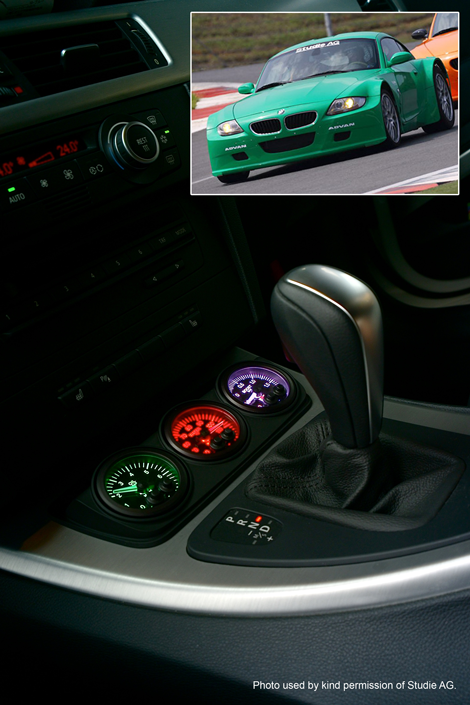 Stack is one of the oldest, most widely used and respected names in motorsport gauges. They have a wide range of gauges available, whether you are looking for a single auxiliary gauge, or a full replacement cluster. We are adding all their products to the site over the next few days, so stay tuned for product details and deals! Just some quick shots of Jonathan’s ’06 Si at a local spot. Not to shabby for 66k miles (and counting!). You should see his engine bay…it’s as clean as it was when new! Grimace Drives an Evo X? One of our good friends and customers recently sent over some pics of some of the rarer parts on his Evo X.